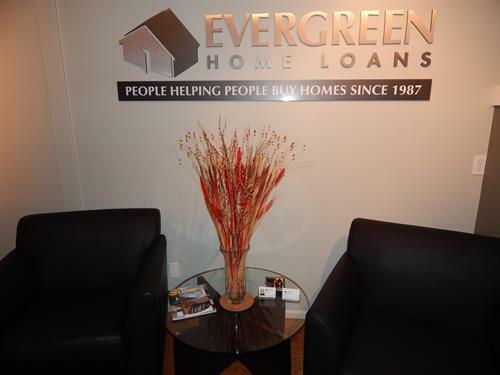 Evergreen Home Loans is a local, direct lender with a total solution for home financing. We originate, fund and service home loans and we're right in your neighborhood. We know you have many choices when it comes to home financing. That's why our entire culture is built around getting you what you need when you need it. Our service mantra is all about delivering On Time and As Promised. Not only do we live where you live, we work with you the way you want us to and on your timeline. 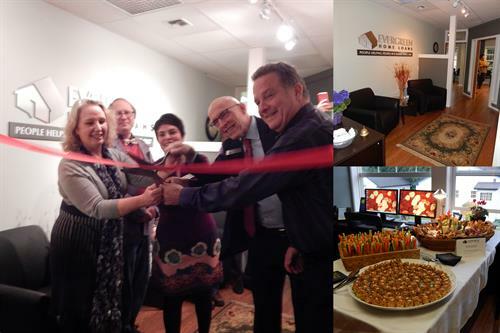 We're passionate about the business of home loans. We know it's one of the most important and satisfying investments you can make. And we know that it takes a lot to get there. So we focus on keeping our promises one customer at a time. You home is your castle, your universe, your sanctuary, and the place where memories are made. It's important that you feel as comfortable about your home as the lender you ultimately select for your home financing. With more than 28 years in the business, an A+ rating from the Better Business Bureau, and people who enjoy working with customers, we hope you choose us as the lender you can trust. On Bank Rd, located in the Cunningham Building on the 2nd Floor.